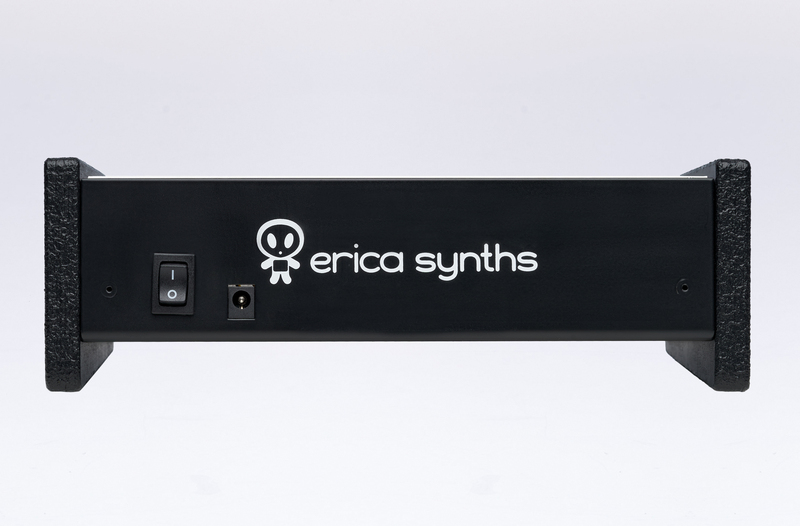 This case has integrated Erica Synths PSU capable of +12V@1.25A and -12V@1.25A (2.5A total). 12V 3A 100-240VAC desktop PSU included. 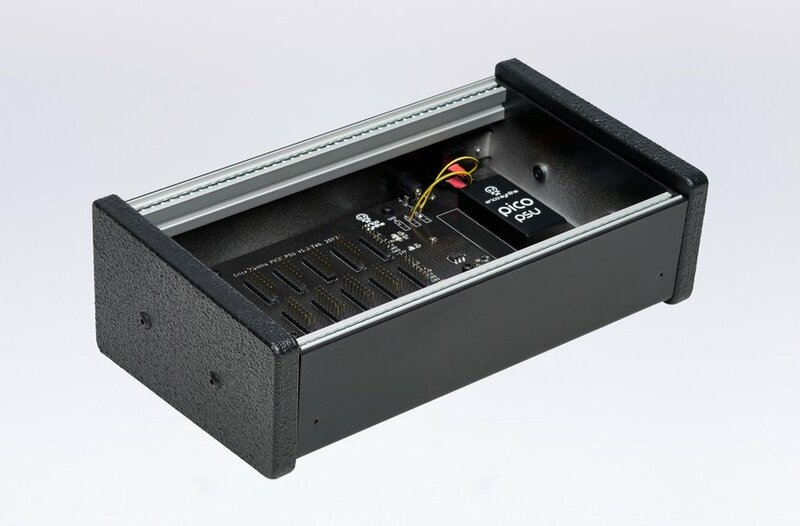 As standard 40mm deep enclosures come with horizontal wooden side panels in black and one distribution board with 14 connector sockets. Erica Synths Pico DRUM1 module gives you two independent and great sounding drums with versatile control over different parameters and a huge collection of drum samples. 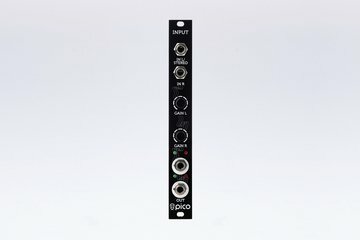 Erica Synths Pico INPUT module is just what you need to interface your modular system with external synths or even your mp3 player or mobile phone. 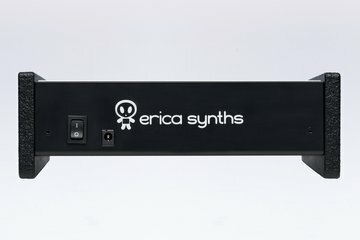 Erica Synths Pico OUTPUT module is just what you need to monitor your music on headphones and have standardized connection to mixing desks.